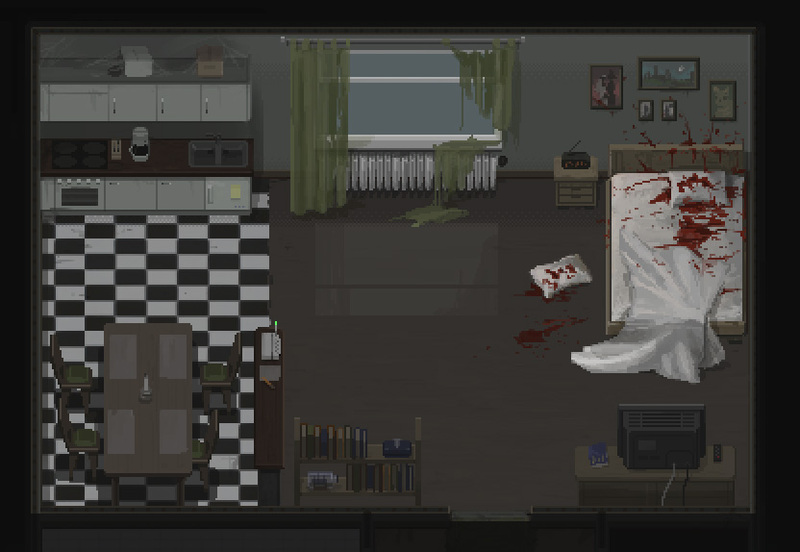 "DO NOT CROSS" is a game about the work of a forensic cleaner. We are aiming to create a slow paced single player game with a unique premise and dark atmosphere. Your job is to clean up the aftermath of different crime scenes, which gives you the chance to explore the belongings of the victims and learn more about their past. The gameplay will be a mixture of classic adventure and puzzle game. 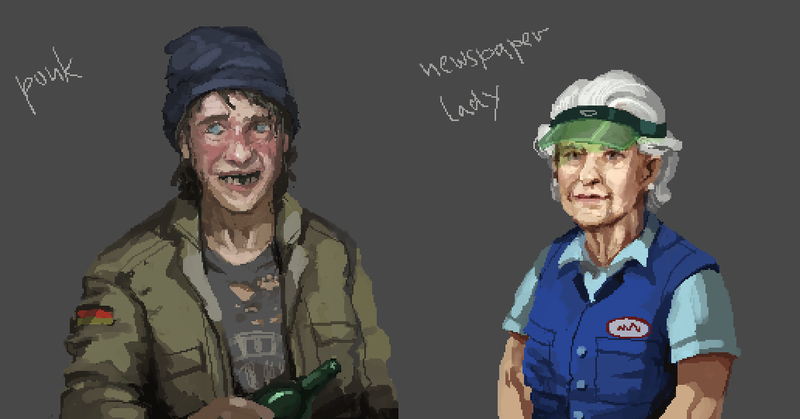 I've spent some time to come up with an artstyle for our character portraits. It's quite tricky to work low res and come up with something that matches the style of the rest of our game, but still has a certain roughness to it. 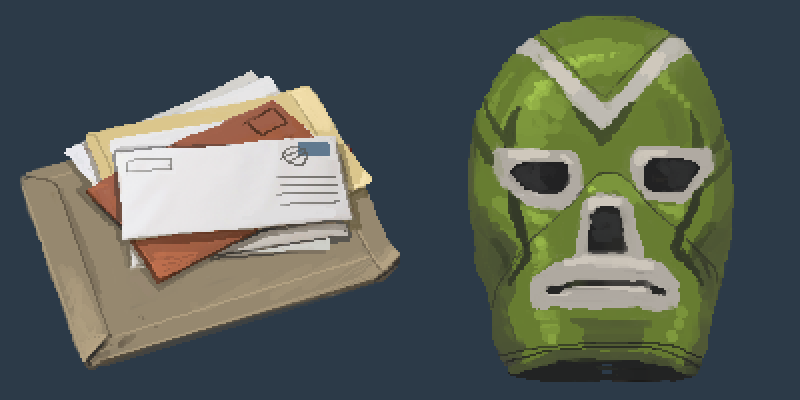 I also did some test for detail-shots of items that could be used in the menus alongside descriptions, but also when you interact with an object or look at it. 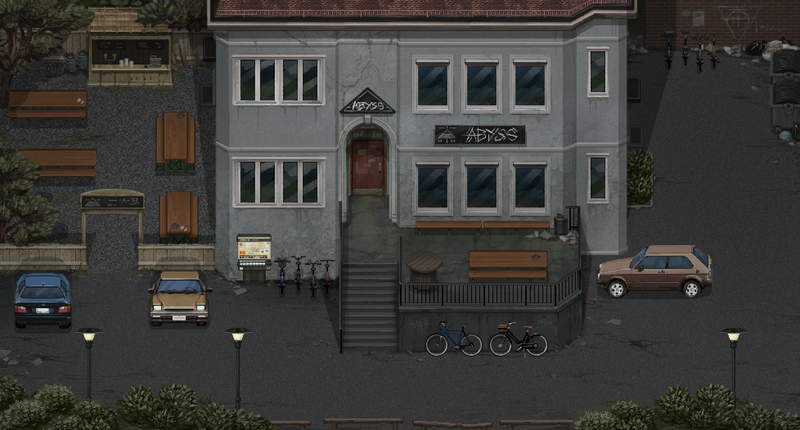 Here are two previews of new locations: Inside of the forensics lab and the exterior of Abyss, a rundown bar. Siilk has been working on the dialogue system of our game. He is making sure that we can cover branching dialogue trees, emotional states, multiple characters etc. Here is a an animated gif of the basic system in debug mode. Still heavy WIP. You can checkout his detailed description over at TIG. Hopefully we can post an update soon that also shows the visual representation of the system in action. All sprites are in place, we only have to wrap it all up. Holy **** this has to be most unique idea combined with pixel art graphics that fits perfectly, hope this project will be finished. This project is quite different. Nice to see good only pixel graphics again. It has it's very own charm to it. Let's see where this is heading. Good to hear that you like it. At the moment there is no real need for a hi-res interface or other elements that will work against the resolution of the backgrounds and sprites. This is a really unique concept. I'll definitely be keeping my eye on this. 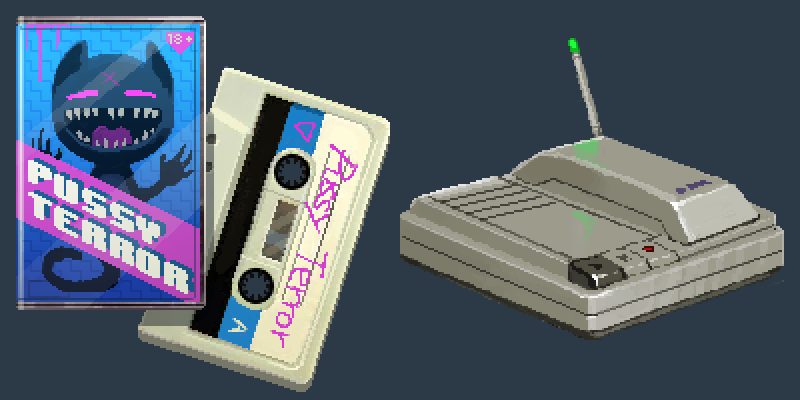 Also the pixel art is really well done. congrats on the PCGamer coverage! okay the pixels are gorgeous but how the game itself going to work? 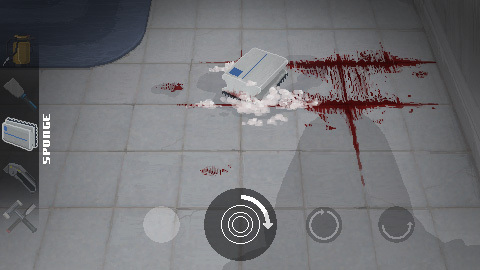 Player's lore betwen crime scenes? showing how the player get along this kind of life? sandbox like with the player exploring the surrondings? I think I posted a bit about that on the TIG devlog. 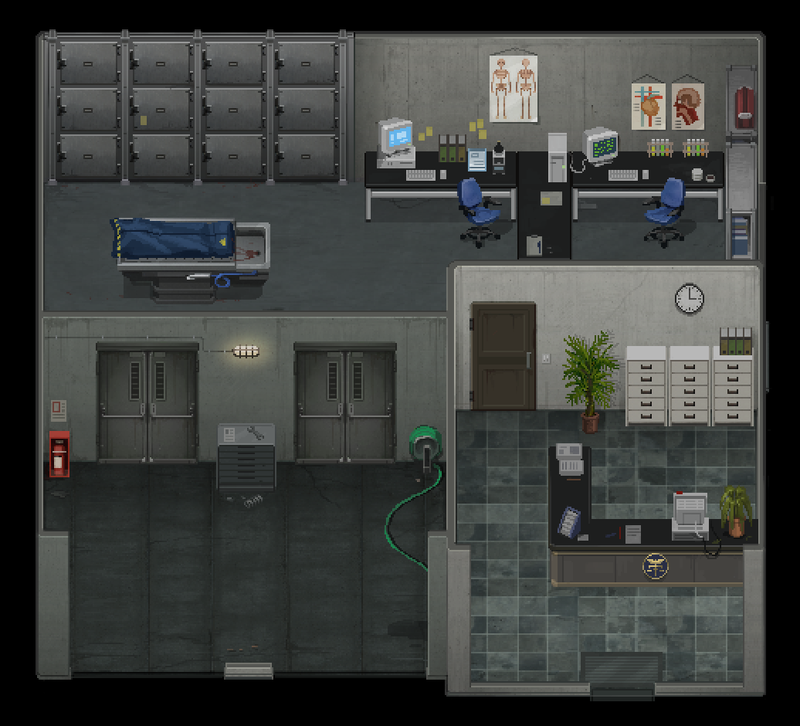 The game will be story driven and the crime scenes connect the different branches. It won't be a sandbox game where you work on a lot of jobs in a random order. - The cleanup (mandatory). You are ordered to the site to clean up the mess that is left after the bodies were moved and the police investigation has taken place. - The investigation (optional). You are alone at the site and have the chance to explore the surroundings. This means you have time to look through the personal belongings of the victims, steal valuables or look for clues which are connected to the crime and were overlooked by the police. Your behavior determines in which direction the story will develop.